Scientific supervisor - MD, professor. 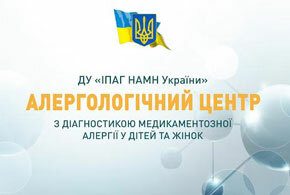 Podolsky Vasily, Honored worker of science and technology of Ukraine, tel. (+38044) 483 - 62 - 28. Head - PhD. Okhrimenko Lyudmila, tel:(+38044) 483-16-07. Podolsky Vladimir - obstetrician-gynecologist MD, professor. Department engaged in diagnosis and correction of gynecological diseases in women of childbearing age (15-49 years): chronic inflammatory disease of the uterus, salpingo acute, chronic salpingo, chronic vulvovaginitis, erosion and ectropion of cervix, uterine fibroids, polycystic ovaries, endometriosis and ovarian cancer, polyps endometrium, menstrual irregularities, threatened miscarriage, miscarriage, missed abortion, uterine hypoplasia, infertility, ovarian cyst, ectopic pregnancy, cervical polyps cervical cancer, chronic endometriosis, abortion on health indicators, subinvalyutsiya uterus, vacuum aspiration. Department is equipped with modern diagnostic and medical equipment: anesthesia machine RO-6, colposcope, diathermy, physiotherapy equipment, including interdin "Milta" devices hidrotubatsiy, histerosalpinhohrafiy, ultrasonic devices. For the treatment of patients in the department is physiotherapy room, manipulation, procedural operating room. All are equipped with modern equipment, laparoscopic equipment. Admission of patients conducted in order to antenatal clinics of institute. In addition to clinical work focuses on improving professional knowledge and skills to question management and treatment of patients, improving operational techniques. Feature works of department engaged most severe pathology that occurs in women in this age group, many women come from different regions of Ukraine with diseases that present difficulties of diagnosis and treatment in the field. This shows the experience of specialists offices and significant opportunities diagnostic tests.